The Barbera Multi-Transducer Bridge features two, dual element piezo transducers for each string. 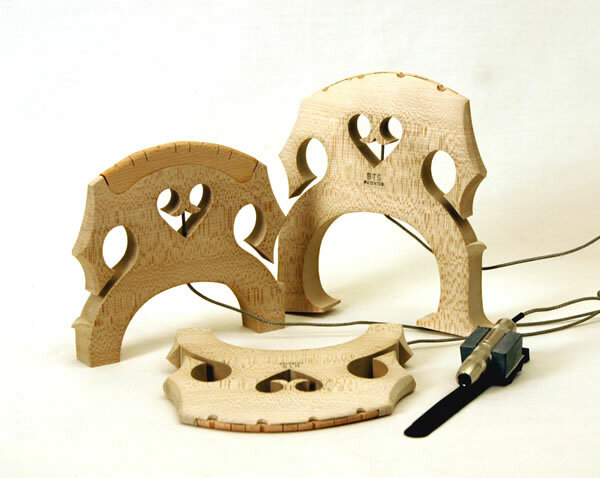 The sensors are mounted within a precision made maple graft, which is integrated into the in the back face of the bridge beneath the strings. The bridges are made custom to match each basses particular setup.